I finally got a chance to use my doughnut pans! Ring the bells, sound the trumpets! Large ones, mini ones … it’s a doughnutfest here. Well, strictly speaking, it’s a total proughnut fest (or pronut if you’re from the US … what’s with the weird spelling people?). I’ve set aside other protein packed recipes that are waiting to be published because these are just so sweetly yummilicious and amazeballs, you have to have them now. Now, I say. These are not make do proughnuts, they are bona fide you’d never guess in a million years that they are healthy proughnuts. A light gluten and grain free baked doughnut spiked with espresso coffee and cinnamon, and no added sugar. Top that with a salted caramel glaze. Yeah, you heard me. If you are wanting to make these for children, you can omit the whey and casein protein powders. You still get a protein boost from the eggs and almond flour. As usual, I have used unflavoured whey and casein for this recipe. 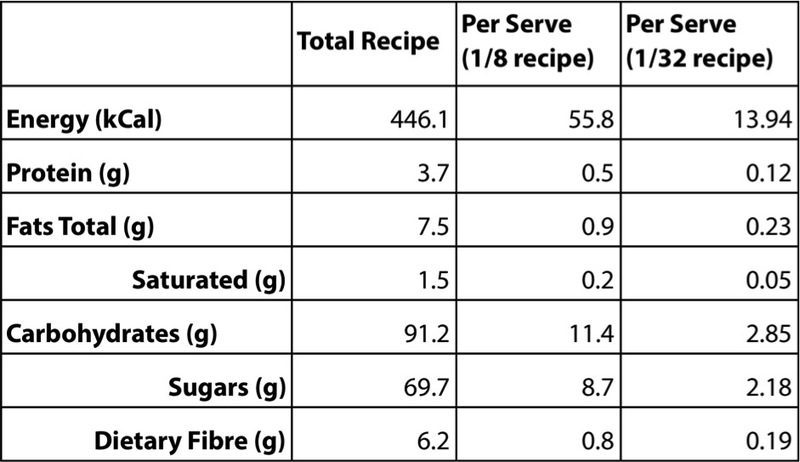 If you are using a flavoured protein powder, stick with a complementary flavour such as vanilla, coffee, or cinnamon for the best result. If you cannot use whey or casein, rice protein can be substituted for both in this recipe with good results. Why did you use a combination of whey and casein, CCM? Well, after playing around with both whey and casein in baking, a roughly 50/50 combination seems to behave very nicely. 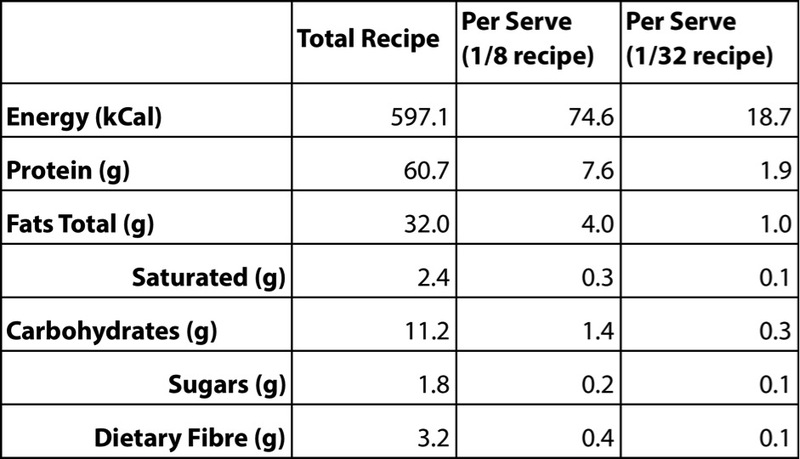 It won’t dry out baked goods as 100% whey can do and it won’t result in a too creamy texture for cakey baked goods, as casein alone can do. I like using them this way. It works beautifully. 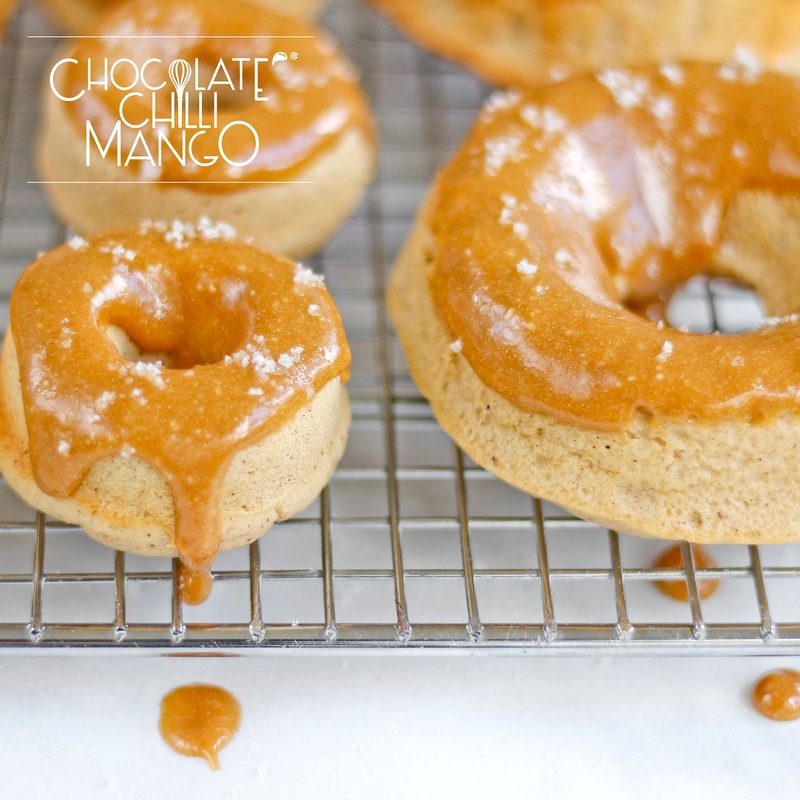 These proughnuts are gluten-free, grain-free, and refined sugar free as well. Without the glaze, they are also low carb. They taste of coffee with a lovely undertone of cinnamon and the salty sweet icing is sooooo good. 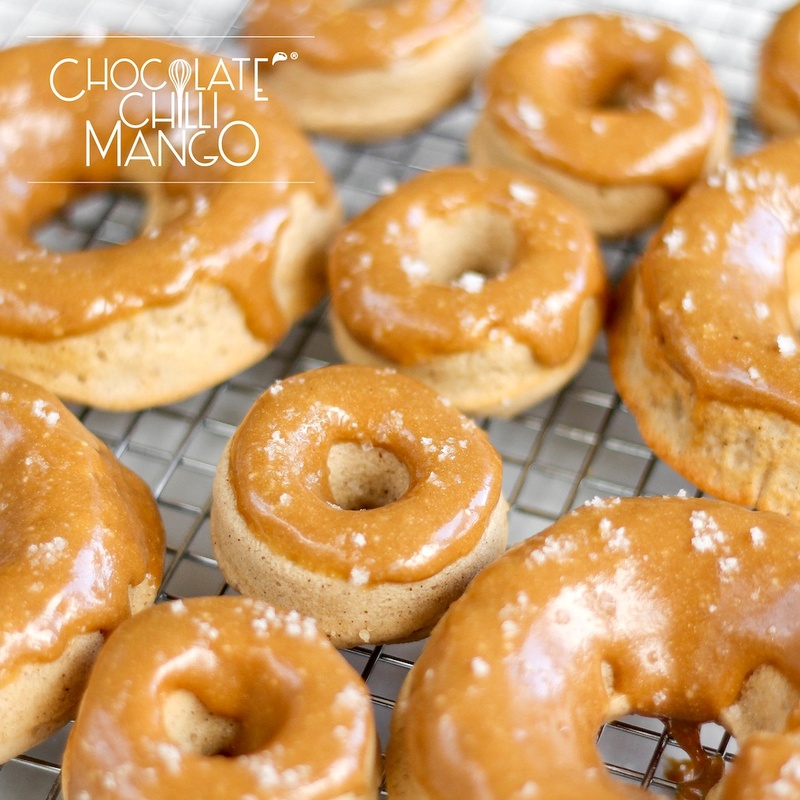 The Espresso Proughnuts recipe is available in the Protein Baking Evolved cookbook. Get your copy here! 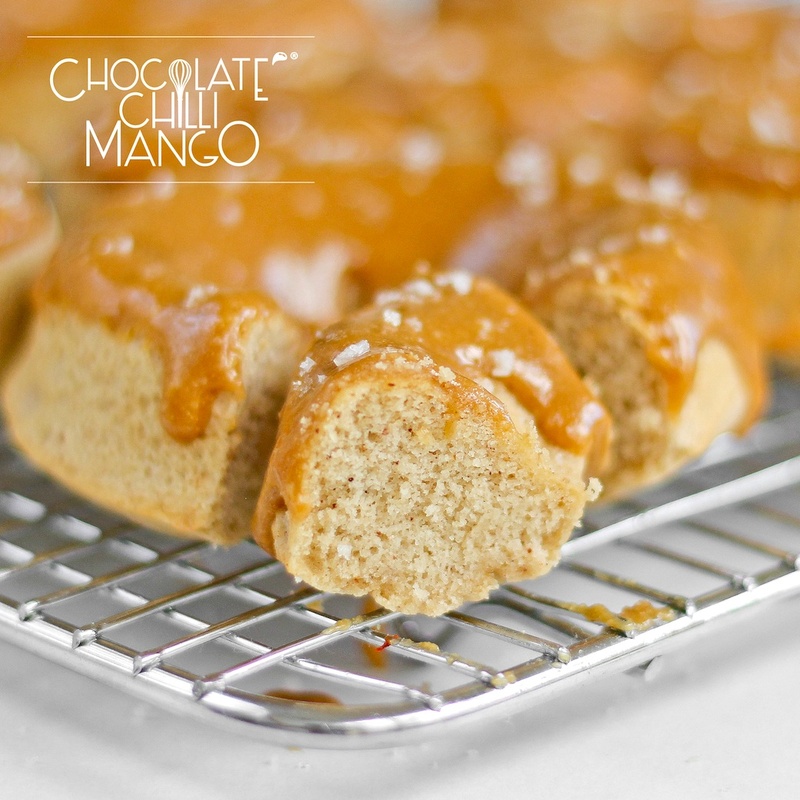 In a bowl, combine the maple syrup, lucuma powder, and cashew butter. Whisk until super smooth. 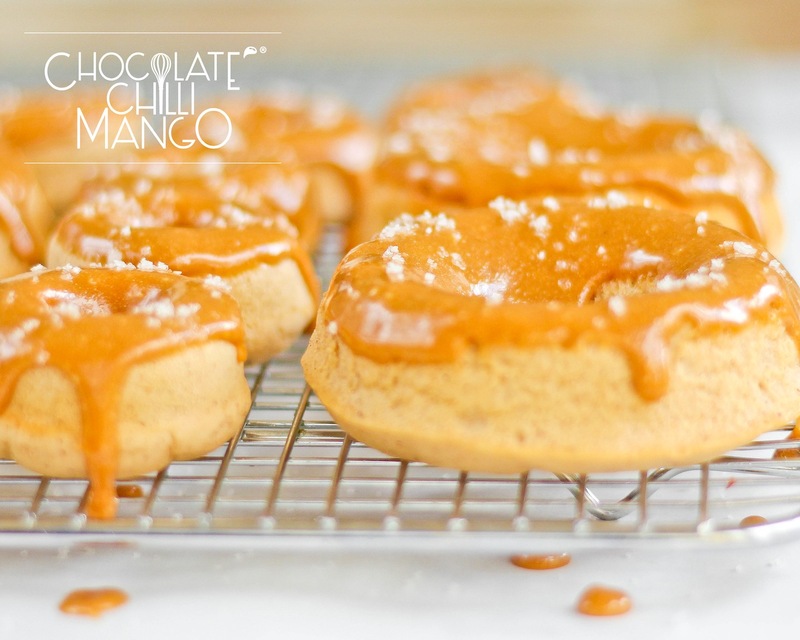 You can dip the top of each doughnut in to the icing or simply spoon the icing on to the top of each doughnut, allowing the icing to dribble down the sides. Sprinkle sea salt flakes on top before serving. These will keep for a day or two, although they are best eaten within twenty four hours of baking and icing. Store in an airtight container at room temperature. They are best stored un-iced. Ice the doughnuts up to a few hours before serving if making ahead. They are really good eaten just warm. Ten to fifteen seconds in a microwave is sufficient to make them perfection. 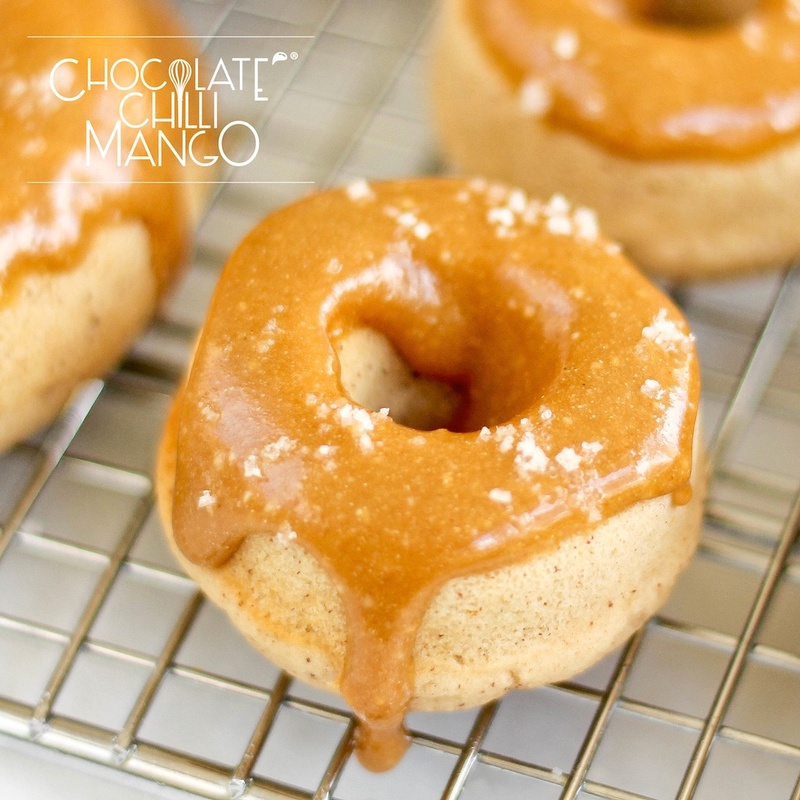 Instead of the caramel icing, make a Tiramisù style cream to use as a filling or frosting for the doughnuts. You can make this any way you choose, depending on your preferences and macronutrient requirements. I would suggest using mascarpone, ricotta (full fat or light), or cottage cheese blended until smooth, or a mixture of any of these. You could also mix any one of these with an equal quantity of thick Greek yoghurt. Sweeten with stevia or your favourite sweetener and a dash of vanilla (seeds, organic powder, paste or extract). You could whisk in an egg yolk or whole egg, if you don’t have concerns with consuming raw eggs. If you are feeling lazy, just mix some vanilla or unflavoured casein with vanilla, stevia and yoghurt, milk or water until thick and creamy and use that. Pipe it on top of each doughnut, or slice the doughnuts in half and fill with the cream. Sift a little cacao over the top and voilà! How easy is that?